I’m super excited to hear about Apple’s big reveal today at the Brooklyn special event. Apple decided to give us a good reason to cheer when the new IPad Pro announcement. 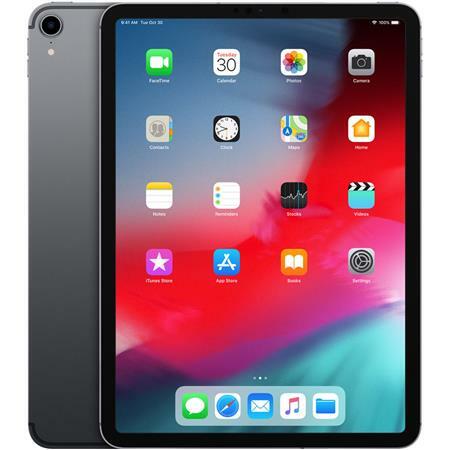 The iPad Pro 12.9" 1TB Tablet, Wi-Fi, Space Grey, (Late 2018) and the iPad Pro 11" 1TB Tablet, Wi-Fi, Space Grey, (Late 2018) is great news for us photographers who want an editing solution on the go! As a Real Estate and Architectural Photographer, 90% of my work is out of the office. Having a Tethered Solution for Photographing Real Estate, and a Way to work with Real Estate Agents, Interior Designers and Architects on the go is essential. The new 2018 IPad Pro gives me all the tools I need to conduct my daily business. According to Apples new IPad Pro Announcement, The new IPad Pro release date is November the 7th and immediately available for order. With any new IPad Pro announcement we get some new features. Guess what else they finally gave us, USB-C and SD Card slots built in! No more need to buy those pricey Apple Camera kit adapters. This is no IPad Pro 2018 Rumor.... these are the hard corps facts! Apple enthusiast have been asking for USB C connectivity for along time, so now its easy to connect your favorite keyboard or device! Pair this with some of the best Ipad Pro apps and the Apple pencil and edit to your hearts content! Steve Jobs... Eat your heart out! Lets not forget the new IPad Pro Announcement about Face ID, previously only found on the IPhone X and IPhone XS, the IPad Pro announcement was music to our ears. Now you can wake up your IPad with your face, use the Apples Animoji's and more! I would rank this up as the Best Buy for 2018 from the Apple store and new IPad Pro Announcement of the year! I wish I owned some Apple Stock, as I’m sure it just sky rocketed through the roof. The new Ipad Pro 2018 will come in sizes as small as 256GB all the way to a whopping 1TB storage! Links within this Blog post may lead to an affiliate site like Amazon Associates or Adorama Camera Store which allows you to make purchases. You will always get the best deal, and any financial gain by Steven Hendricks Photography is paid solely by the Affiliate Company (i.e. Amazon, Adorama). These links help support this page and continued great content. Our friends at Think Tank Photo have released new and revised classic camera carrying solutions. The newly-released StoryTeller shoulder bags come in three sizes. The StoryTeller 10 holds an ungripped DSLR or Mirrorless camera body, two to four standard telephoto lenses with hoods attached and reversed, and a 10” tablet. The StoryTeller 8 holds an ungripped DSLR or Mirrorless camera body, three to four small telephotos or primes with hoods attached and reversed, and an 8” tablet. The StoryTeller 5 fits an ungripped DSLR or Mirrorless camera body, two to four standard telephoto lenses with hoods attached and reversed, and a 10” tablet. Think Tank has also completely updated the #1 rated line of modular belt system components. The Modular Belt System V3.0 moves weight from your shoulders to your waists for more comfortable all-day carry. Many of the new pouches are expandable to fit pro-sized lenses with hoods in the shooting position. And, the newly added Camera Clip Adapter V3.0belt attachment for the Peak Design Capture Clip, SpiderLight and SpiderPro camera clips allows the clip to rotate on any Think Tank belt for better workflow. And don’t forget that by using my special URL you will receive free gear with your orders of $50+ and free shipping on all orders. BackLight Rear-entry Camera Backpacks back in stock! Our friends at MindShift Gear have just added a smaller, 18-liter version to their very popular BackLight rear panel access backpacks. The BackLight 18L allows you to work out of the bag without getting the harness dirty, wet, muddy, or icy. It holds two gripped DSLRs with lenses attached and one to three standard zoom lenses or two gripped Mirrorless bodies with lenses attached and three to five lenses. It features dedicated compartments that fit up to a 13” laptop and a full-size tablet. As a daypack, its front pockets total 5 liters in personal gear carry for a day’s outing, such as extra layers, a light jacket, food, and more. And, by using my special URL to order you will be able to add free gear and receive free shipping with your order. There is no such thing as bad weather, only bad gear. MindShift Gear’s new Exposure shoulder bags are storm-resistant carrying solutions for the active photographer in virtually any outdoor environment. Built with high performance waterproof sailcloth panels, strategically placed storm flaps, water-repellent DWR fabric, and a sturdy Tarpaulin bottom; the Exposure protects camera gear from the elements and withstands the rigors of adventure photography. And, with its cross-body stabilizer strap, the Exposure moves with you while you’re active or is removable for more causal environments. A waterproof rain cover is included when it’s time to put the camera away and hunker down. Exposure shoulder bags come in two models, the Exposure 13 and the Exposure 15, and in two colors, Black and Solar Flare. The Exposure 13 fits a 13” laptop; the Exposure 15 fits 15” laptops. A 10” tablet fits in zippered pocket. And, don’t forget that when you use my special URL to order you will receive free gear and free shipping. ThinkTank Bags release new editions to their collection. Had the great opportunity to visit Taipei for possibily the last time the Taipei 101 will have it’s annual New Years fireworks celebration. This year was the longest firework show so far lasting a whole 6 minutes Long compared to previous 2 minute long shows. The very first one lasted only 23sec long. Videos of this online are great but gives no real idea at the magnificence of this display of fireworks and lighting. Imagine 20,000 fireworks and 140,000 led lights lighting the building and sky at the stroke of midnight! I’m very fortunate that I was able to capture the monumental moment and possibly the last! The final image was shot with my Nikon D810 and the video was recorded with the iphone7 on a DJI Osmo Mobile and tripod. I was disappointed that the video came out over exposed of the fireworks but oh well. Lesson learned here... pay attention! New Time Lapse BTS released! New Behind the scene video release on my YouTube Channel! 7 hour time lapse all in 14sec of Kayo Beach and the milky way.